In this section, we’ll look deeper at these proposed Five Goals of complex systems. We’ll argue that these goals are not only central to adaptive living systems, but to the most adaptive groups, organizations, societies, and technologies. They are also, in my view, among the best ways we can presently define and measure social progress. Under each goal we’ll also consider two potentially universal social values that seem closely associated with those goals, and a sample of three global sociotechnological trends that seem particularly important to advancing each goal at present. That will give us Ten Values and Fifteen Trends that seem to be among the top processes for us to understand, manage, and lead in our modern exponential world. Unlike the goals and values, which seem to me to be particularly universal, these fifteen trends are an incomplete set. But they are the most important global trends I can presently envision when I contemplate each goal and its related social values. 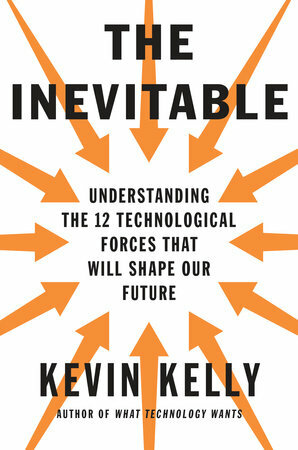 You can consider these fifteen trends to be my own evo devo-derived version of the twelve global trends that Kevin Kelly proposes in his prescient and very thoughtful book, The Inevitable: Understanding the 12 (Socio-)Technological Forces that Will Shape Our Future, 2016. Here then are the top goals, social values, and global trends that should be understood and managed by the modern foresight leader, in my view. We’ll discuss each of these goals, social values and trends in the next five sections. Let’s turn now to the first goal, Innovation, and explore Innovations two social values and three of its most important driving trends in our modern accelerating society.